London is fantastic city for international studies to study in, as well as being voted the best student city in the world, it’s home to some of the top universities in the country. Sometimes students need to find a quiet and well-maintained spot to knuckle down and get some work done, and preferably one with a relaxed and friendly atmosphere. Luckily London has many perfect study spots for international students to take advantage of. 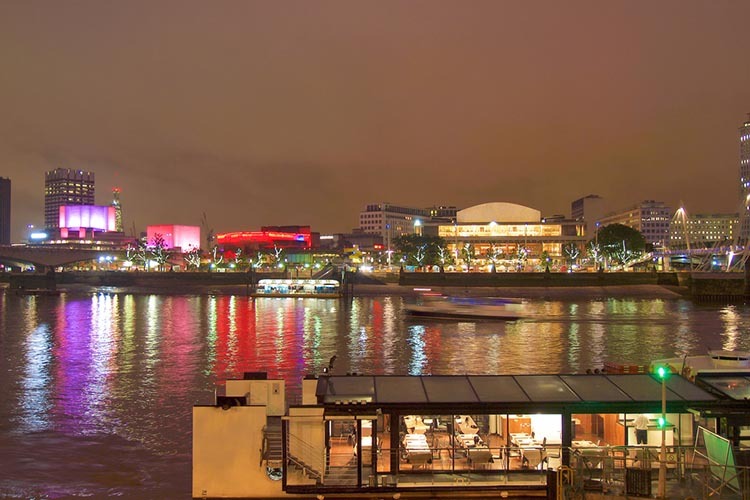 Sitting right by the riverside opposite the Thames, is the Southbank Centre, a complex of artistic venues in the city. The complex is comprised of an art gallery, concert hall and a theater, including the Hayward Gallery, and it is actually the largest arts centre in all of Europe. It offers students plenty of open and relaxed communal space both inside and out, along with comfortable sofas, free Wi-Fi and plenty of light. Plus thanks to its prime location, there’s even a balcony terrace that offers stunning views of the Thames whilst you’re studying. There’s also a library available on the site as well. Now we’re going from Europe’s largest arts centre to its largest performing arts centre, the Barbican Centre. The sprawling centre is a positively peaceful place for any students to get some work done, while enjoying some picture perfect views. It has an on site library situated on the second floor, packed with historical books and study areas. Students can enjoy a music zone with plug-in and play digital pianos, strong wifi, and many sockets for charging your devices. There’s even a restaurant for when all that studying makes you a little bit peckish. The libraries resources are open to anyone for free, and you’ll be able to take out resources as long as you’re studying and living in the City of London. The impressive British Library is the national library of the UK, and also the world’s biggest national library in the world thanks to the sheer volume of items it has catalogued, some 150 million items. It’s completely free to enter and located on Euston Road a short walk from King’s Cross, and it’s also conveniently open seven days a week. It’s truly a beautifully bright space to behold and absolutely ideal for studying, with free wifi, plenty of comfortable seating and work desks. A Reader Pass is available for any students, as long as you can prove that you have a legitimate academic purpose to use them. Students can enjoy a quiet study space, surrounded by the world’s second biggest book collection, in a place that of course comes complete with an inspiring backdrop. Also on the doorstep of the Thames is the British Film Institute, which is widely recognised for its film festivals, and contributions to the South Bank cultural scene with its sophisticated cinema. It’s also got its very own library, the Reuben Library, which is completely free to those willing to simply fill out a registration card upon each visit. Once students have filled out the card they will be able to access the great study space provided. When you need to take a break between study sessions, you’ll be able to enjoy the vast collection of resources regarding film and television history, from books to digitised journals. There are a few Timberyard venues to choose from throughout the city, and all of them are renowned for their work-conducive and relaxed environment. They are generally full of students working away on their laptops, while sipping away at some speciality tea and coffee. It’s truly a top choice for students to settle down and get some revision done in the city centre. Are you an international student looking to find out more about studying in London? Then please contact us at IEC Abroad today, we’re here to help find the perfect university for you.